Jordan Brand debuted the Air Jordan 1 Retro High OG “Shattered Backboard” back in June that was inspired by the broken backboard from Michael Jordan’s dunk in a Nike exhibition game played in Italy in 1985. 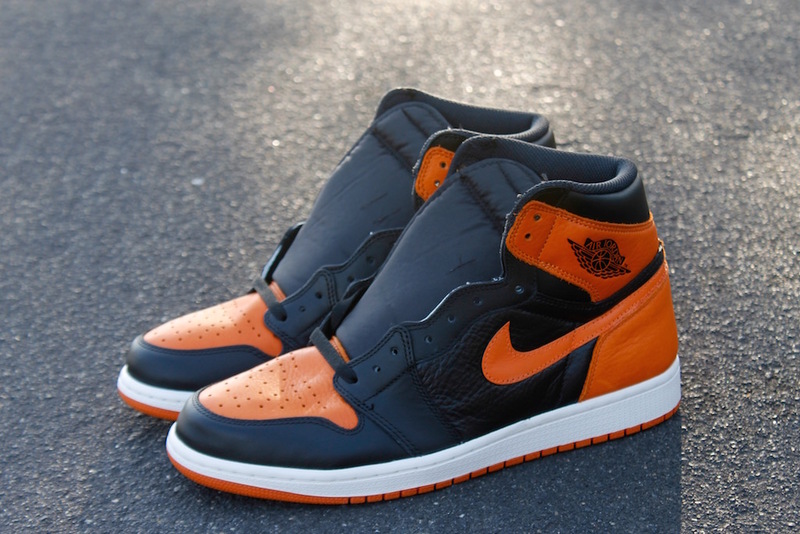 Today, we take a look at a different take of the “Shattered Backboard” Air Jordan 1 that was created by HaveAir Customs. Keep things fairy simple, he took the White areas of the release and painted them Black. He also took the original Black Nike Swoosh and made them Orange. Get a closer look at below and let us know what you guys think in the comments section. How many of you would have rather have these over the pair that released?